Some links in this post may be affliated by the way. This bad boy comes in 35 shades, I have the shade Vanilla, it has 1oz/30ml of product, which is pretty standard and retails for 49CAD or 39USD. 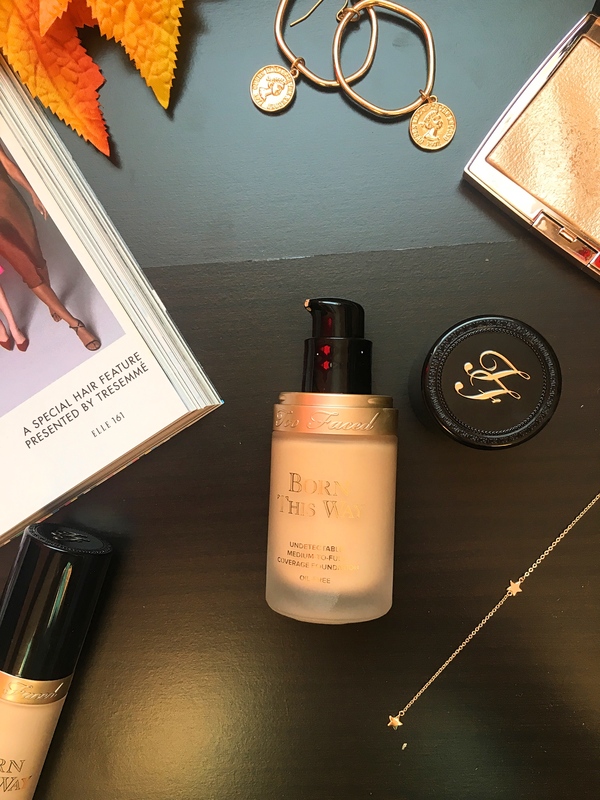 This foundation has a lot of great ingredients such as coconut water that aids in delicately replenishing skin’s moisture levels, alpine rose that helps support skin’s health and resilience and hyaluronic acid that gives a smoother, more youthful appearance. 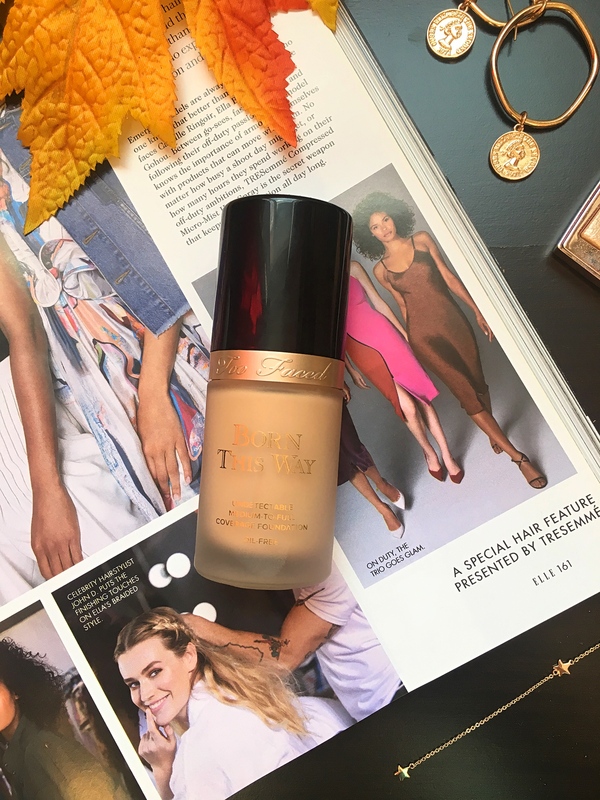 I absolutely love this foundation, the finish is gorgeous, it’s not too dewy [on me] but it is so hydrating [and I am currently living in a really dry country], it does not cling into my dry patches, it is super long-lasting, I didn’t notice any break out around my nose or lips. Concerning the coverage, it is medium-to-full coverage, exactly how I like it, so it is perfect to even out your skin tone, make your redness disappear, to give you a flawless skin but it doesn’t make your acne [or really dark acne spots] completely disappear, I have a huge acne spot on my cheek and the foundation does tone it down but it does not make it completely disappear, I use the concealer to conceal it and that works fine with me. I usually use two pumps to cover my whole face and a bit of my neck, it’s the perfect amount to give me a really good full-coverage. Even though it is kind of full coverage, it doesn’t feel heavy at all, in the contrary, it feels so lightweight. 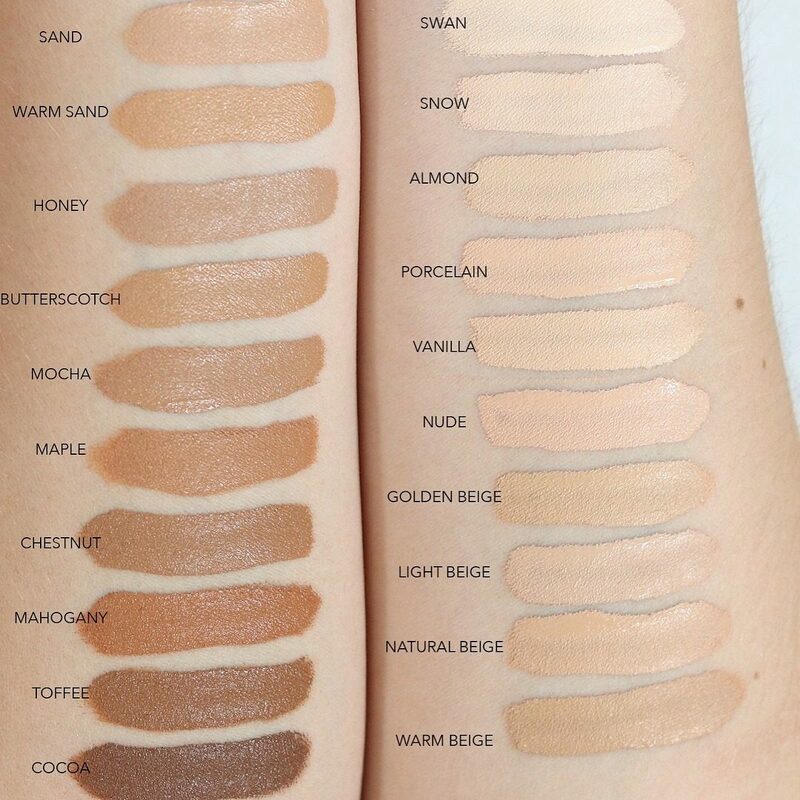 I randomly found this photo on Pinterest but the swatches are pretty accurate, I have the shade vanilla, which as you can see is a light neutral. Great that it feels so lightweight! Always on the hunt for a good foundation, most of them make my skin feel gross even though the look is nice. Sounds like this one is really light and hydrating! 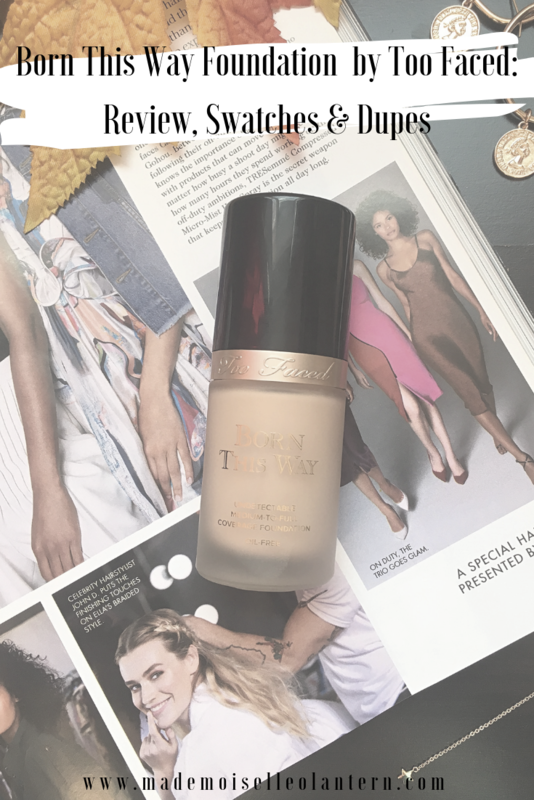 it is an amazing foundation, keep in consideration that it’s full coverage so I wouldn’t use it on a daily basis, I would still prefer using a cc cream for my everyday makeup look! Thank you!! I know that the Dior one is pretty good, did you like it? 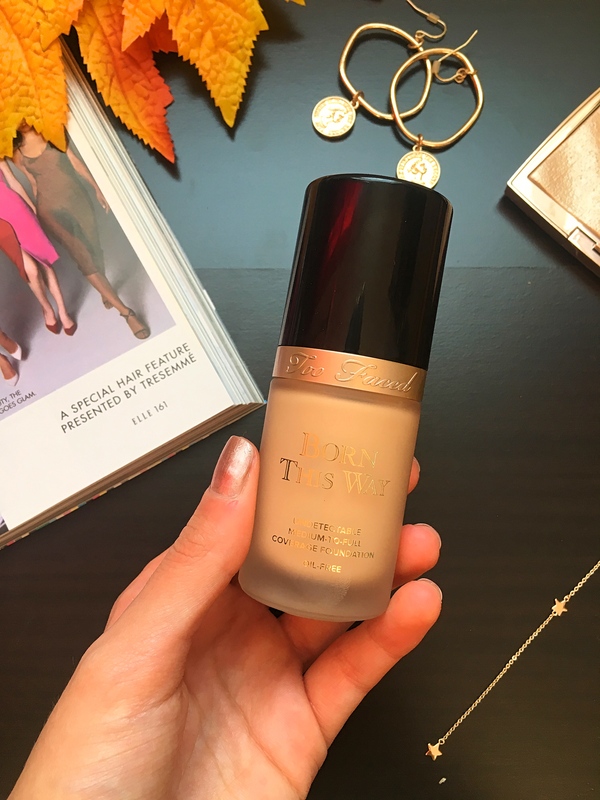 I have been eyeing this foundation. I like all of the color options. I love that they have 35 shades! It can be so hard to find one that looks natural! yes, same! It’s the first time I ever find my exact shade to be honest! I havent tried this but looks very interesting! Do you think this would work well with acne?